These problems have been reported by more than a few users around the world, and late last month Samsung said a fix would roll out soon. It seems some S9 and S9+ owners in parts of Europe, the Middle East, Africa, and Australia are now receiving the promised update. The build numbers are G960FXXU1ARD4 for the S9 and G965FXXU1ARD4 for the S9+, with slight region-based variations. The size of the update appears to weigh in around 150MB, though the exact size will vary depending on the build number. Call stability has been improved. The quality of Wallpaper has been improved. It's worth noting that this update does not include a security patch, which isn't surprising since Samsung started rolling out updates for the S9 and S9+ that included the April security patch a couple weeks ago. These call stability issues are reminiscent of some S8 and Note8 units having muted mics, which had to be blown on in order to be fixed. And this isn't the only issue owners of Samsung's latest flagships are reporting: Some users have dead zones on their touchscreens. 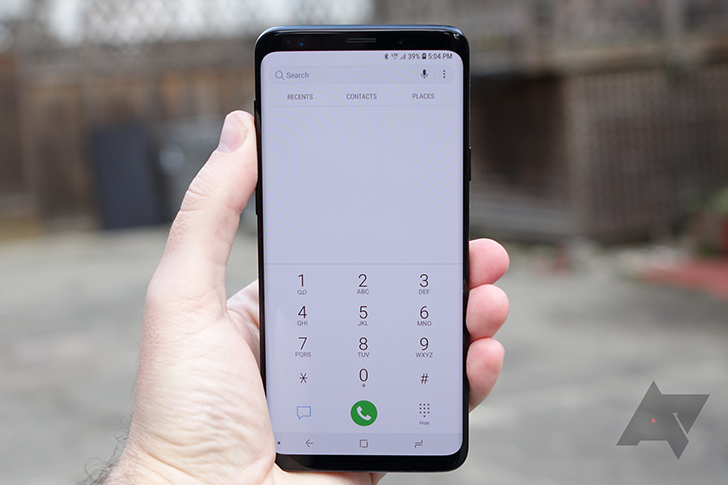 If you own an S9 or S9+ that has these annoying call issues and get the update, let us know if the fix works. You can manually check for it by going to Settings > Software update.